Augustus Downs RAAF Landing Ground and Camp Site proposed. The site was abandoned by Augsut 1943. Company ‘C’ US 135th Medical Regiment set up a Convalescent Hospital at Major’s Creek, 14 mile east of Woodstock. The “Central Bureau’s” extended its secretive signals intelligence unit at Pimlico in Townsville, with the requisitioning of three more houses; No’s 25 & 26 French St. and No.3 Sycamore. Japanese kana code intercept revealed plans for raid by carrier based aircraft against targets on east coast (Townsville). Russian and U.S. troops meet at Torgau on Elbe, 60 miles West of Berlin. 1 Australian Camp Hospital at Thursday Island closed. The Australian Camp Hospital on Thursday Island ceased to function and was handed back to civilian authorities. 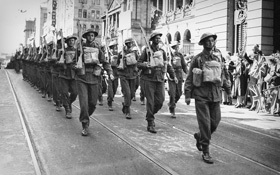 Between 1942 and 1945, Queensland became a support base for the war effort in the South West Pacific. 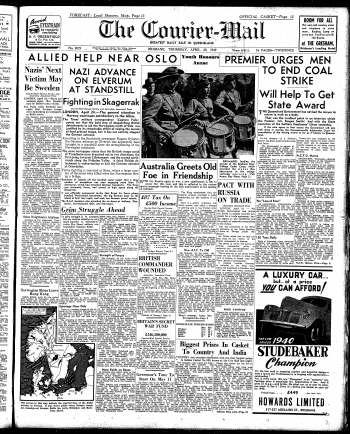 With the rapid capture of Singapore by the Japanese forces and the subsequent bombing of Darwin and Townsville, Queensland felt vulnerable and many anticipated invasion. 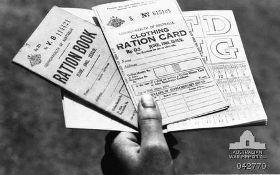 Fortifications, airfields and civil defence became an immediate priority. 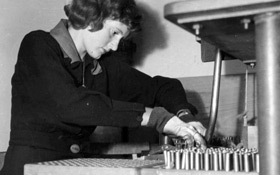 Industry and the population were mobilised to provide workshops, depots, factories and the necessary recreation and medical facilities. New camps were required for the United States forces and Australia’s Divisions returned from the Middle East. 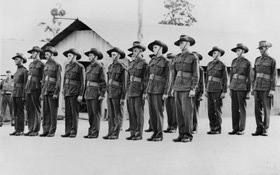 Queensland became a training area and eventually Brisbane’s population doubled as it became the headquarters for the South West Pacific campaign. The legacy of many of these places still remains in the landscape. Discover the places in Queensland that had military significance or supported the war effort during the dynamic years of World War II. 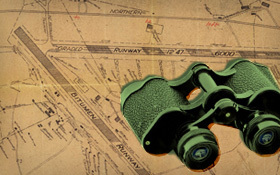 Search on a map for WWII historic places in Queensland. 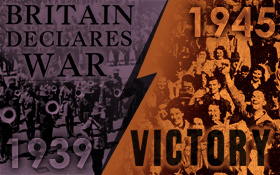 Explore a timeline of events in World War II. The South West Pacific campaign during WWII. Look up issues of the Courier-Mail from during the war.